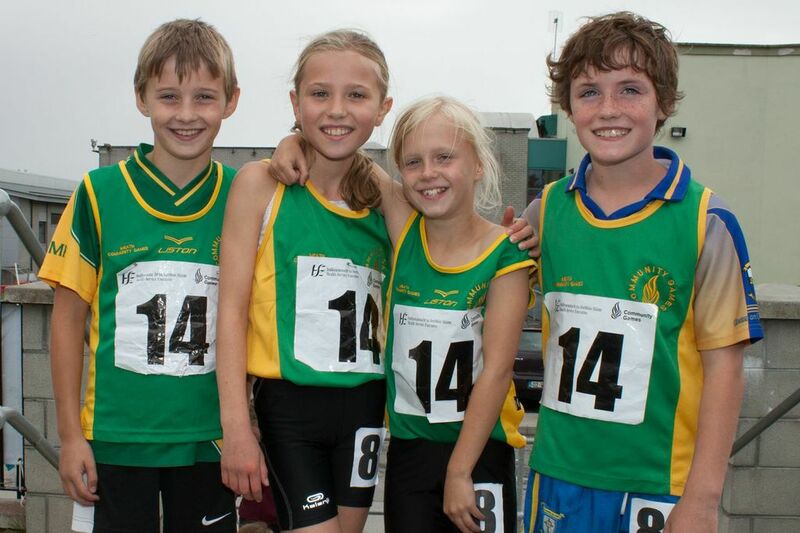 Ratoath Athletic Club: Record haul of medals for Ratoath/Rathbeggan at National Community Games Finals. 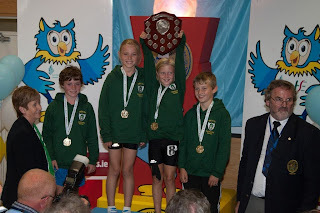 Record haul of medals for Ratoath/Rathbeggan at National Community Games Finals. The National Community Games took place at the weekend in Athlone. Ratoath Rathbeggan had 11 athletes competing in various events including sprint relays, 100m, 200m, 60m Hurdles, Long Puck, Long Jump and the Marathon. Amazingly all eleven athletes came home with a medal which must be a record for any parish. 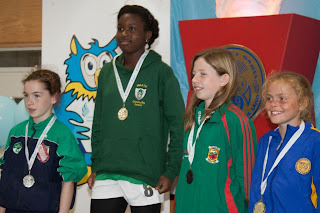 The events commenced on Saturday morning with the heats of the athletic events, Ivie Okome, Ella Healy, competed in the individual 100m event and both qualified easily for their semi-final, Tom Kilgannon also qualified in the 200m, while Fionn Drumonnd was unlucky not to make the semi from his heat, finishing 5th in a blanket finish. Both the U10 mixed relay of Aimee Doherty, Ella Healy Fionn Drummond and Tom Kilgannon and the U12 girls relay consisting of Aoife Rutherford, Ivie Okome, Rachel McPartlin and Emma Coroner qualified safely for their semi, both teams winning their heats. While this was going on Jack Lanigan was producing a great performance in the U12 long puck, eventually taking 3rd place and winning our first medal of the weekend. The relay semi-finals took place on Saturday afternoon, again both teams put in great performances, again both winning their semi-finals. As reported already, the second medal of the day came next with a great jump of 5.09m by Gareth Doyle in the u14 Boys long jump earning him a silver medal. 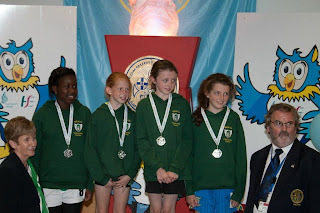 The Athletic individual semi-finals took place on Sunday Morning, Ella Healy was up first and was just edged out into 5th place, again another blanket finish. 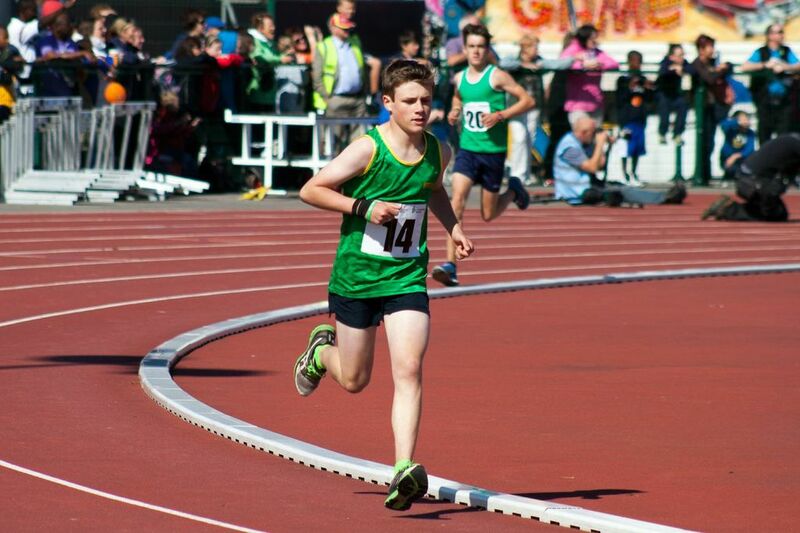 Tom Kilgannon put in a fighting performance in the 200m semi, but again was edged out into 5th place on the run in. Ivie Okome had a great run in the girls U12 semi winning by a good margin. 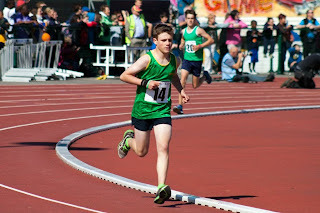 Alex Hunter in the meantime was out on the roads of Athlone in the Marathon, Alex ran a great race finishing 9th, and as part of the Meath County Team finished 2nd in the team event. More was to come from Ivie in the afternoon, and after a sluggish start in the 100m final, she powered her way up the track to take the gold in impressive style, this was Ivie’s first national individual title and one she will remember. More medals were on the way in the relay finals, the U10 mixed relay were out first, they were drawn in lane 8, a difficult lane for relay, but that did not put them off, Aimee Doherty got them off to a great start and had a smooth change over with Ella Healy who flew down the back straight, again another good change over with Fionn Drummond who ran a great bend and handed over to Tom Kilgannon, The Dublin team were also flying at this stage and were 1-2 metres up on Tom at the final changeover, but with his usual determination Tom made up the gap and powered all the way to the line to just take it from Dublin, with Cork finishing 3rd and Clare 4th. 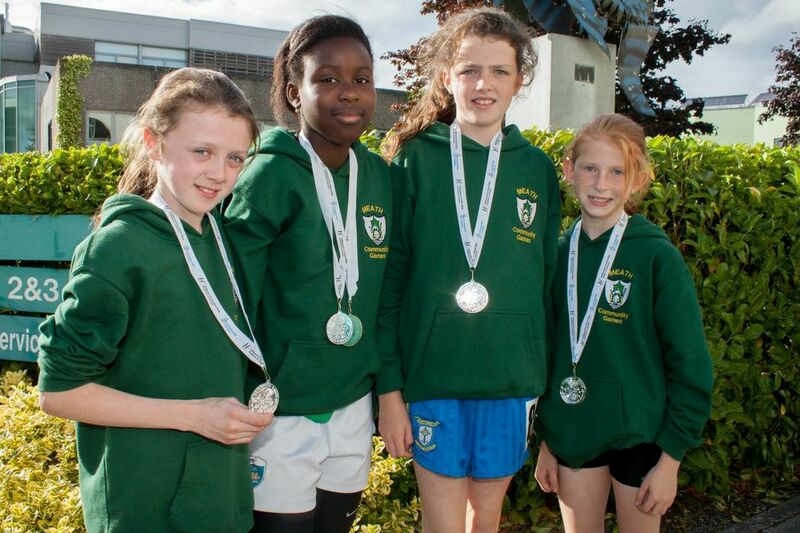 The u12 girls were up next, again the girls were drawn in lane 8, Aoife Rutherford ran another good leg as she did in both the heat and semi, passing to Ivie who as usual was powerful on the back straight, again Ivie had a good pass to Rachel McPartlin who ran a good bend passing smoothly to Emma Coroner on the anchor leg, Limerick were also going well in lane 1 and there was nothing separating the teams as both girls tore up the finishing straight, unfortunately this time we were just edged out on the line into 2nd place with less than a tenth of a second separating the teams, with Cork in 3rd and Carlow in 4th place. Great credit to both teams who trained hard during the summer, and well done to all athletes who competed so well in their various events.